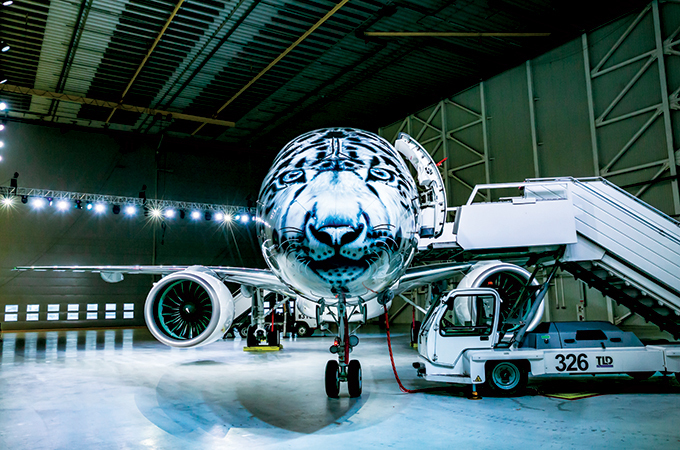 The new aircraft features a special Air Astana “Snow Leopard” livery, drawing attention to the threat of extinction faced by this large wild cat native of the mountain ranges in southern Kazakhstan. LAST month, Air Arabia launched its inaugural flight to Prague in Czech Republic, direct from Sharjah, UAE. The launch flight departed Sharjah International Airport (SHJ) at 07:35 hours and landed in Prague Václav Havel Airport on Tuesday December 11, at 11:20 hours local time. The 6 hour 50-minute flight operates five times a week, every Tuesday, Wednesday, Thursday, Saturday and Sunday. On Tuesdays and Sundays, the departing flight leaves Sharjah at 07:35 hours and arrives in Prague at 11:20 hours local time; the return flight departs Prague at 12:00 and arrives in Sharjah the following morning at 21:00 hours. On Wednesdays, Thursdays and Saturdays, the departing flight leaves Sharjah at 15:35 hours and arrives in Prague at 19:20 hours local time; the return flight departs Prague at 21:05 and arrives in Sharjah the following morning at 06:05 hours. THE New Private Aviation Terminal at King Khalid International Airport in Riyadh was inaugurated by General Authority of Civil Aviation (GACA) on December 10 last year. The launch of the aviation terminal comes as an extension of a series of development projects and modernisation of the Kingdom’s airports system. Riyadh Airports Company supervised the implantation of the project, which is located on an area of 3000 square meters and at a capacity of 100 passengers per an hour. The project was carried out according to the best international standards and specifications, with modern architecture, equipped with the latest systems and equipment available.